It's about time I get a chance to be "cutting-edge"! It seems I am always running several generations behind in technology! It would be nice to actually have the ability to do the things everyone is always talking about! My current computer is an eight-year-old Dell desktop that’s barely on its last foot, let alone last leg. It takes over 5 minutes to log onto the Internet. I need a replacement badly! After so many happy years together, why did I leave you for HP? Now is my chance to correct this terrible mistake…please give me another chance! My daughter really needs this, shes been on the computer since she was three. This would be her first one! Since the moment I bought my Acer in 2006 it always gave me headache. Slowness, freezing, viruses etc. Until finally it just refused to turn on and seems to have burned out! No bringing it back to life, have had at least 3 computer techies take a look and its for sure a gonner. My family computer was also ancient so as a gift I bought a new family PC, mainly for my parents. So do not have the money to spend for myself. I run the Marketing department at work so I am always working on something. Thus I NEED a portable laptop that will seamlessly let me take my work from the office to home. My computer is old and it would be fantastic to have a new one and not have to wait for everything to load on this one. It would also be awesome to have a computer that would go where I go. I could really use a new computer to share with my daughter. Well, need is relative, but I do want a new laptop and it sounds like a great one for myself and my kids. my laptop is only 1.5 years old, but it’s already failing. i need a Lenovo to replace it!! If you only knew how much I need this laptop but cannot afford it, you would just give it to me as a gift! I need a new laptop cause this one keeps making a sound like it’s going to just die any moment. Also, my birthday is coming up, so that’d be nice. I need one because I am addicted to pinterest LOL! Great for my daughter to do her homework on - now we fight over the computer. Why do I want a Lenovo Ultrapad? That’s easy because of the battery life. My current laptop has a one hour batter. An 8 hour batter would be super. Which reminds me of the Super Bowl that Tom Brady and the Patriots will win to honor Myra Kraft. I really need a new computer, and the Levono Ultrabook would be perfect. My computer is old, slow, and in danger of dying. Hope I win! Because i dont have a fully function computer, Ive been using the one at work. I’d love love love to win a new laptop. Mine is old & slow. A new one would be great to work on everything, research, spreadsheets, blog, etc. Hope I win! I run a parent education company and I use my old Lenovo to run my business. But because of the growth of my business, I need an ultrabook to take with me when I travel for training. My business is growing and I’m now able to reach more parents. My television show is now airing on over 80 public access channels and I need to TRAVEL LIGHT in my work. My husband needs it, my son needs it, our family needs it. My daughter is opening a bakery and she really needs a new laptop. Her toshiba has seen better days and it is 6 years old!! Pick me and you can get all the baked goods you would ever want or need!!! I need it so I can enter contests on the go! I’d love to have a new Ultrabook to replace my old laptop which has about 2 hours of battery life left! If only you knew how much I needed this laptop but can not afford it, you would give it to me as a present. Our home comouter died! We have had it in to Best Buy twice and also had the ISP out to our house, there seems to be no reslution. 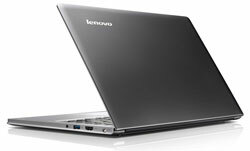 We would love a Lenovo Ultrabook! Just because I think I need a new and faster laptop for the work I do on the computer. My friend gave me a old unused laptop to force me to learn computers. I lived in a cave for the last 19 years & was completely out of touch. Now, at 44 I’m about to go to college and desperately need an upgrade!! I need a new computer because the only way I can afford one is to win one or go through a place like Rent A Center, which is what I’m currently doing. I am paying waaaayyyyyyy tooo much for this one but I can’t afford to just go out and buy one. Trust me, if I could I would be more than happy to do it. So, with that said, my finger (and toes) are all crossed and I am sooo hoping I win. Thank you for the chance to win an awesome computer and being able to send this one back if I get lucky. Good luck to all who enter. I need one because I don’t have a small, thin computer and I need one to carry to school! I worked ahrd to get my wife to be computer literate. Now, when we go on our monthly travels she wants to use our computer which I am using. We need a second laptop. this sounds like a great tool for keeping up with the demands of todays electronic life. I just want one! The only access I have to a computer is at work. It would be nice to be able to do some computing elsewhere, most likely at home on the couch! my computer is nine years old. It has no memory left. It crashes constantly. I currently have a desktop and think the portability of a laptop would be a nice feature. I hear Lenovo has great products and would like to take one for a ride!!! I need a Lenovo because mine is getting old and my daughter is in desperate need of a computer for schoolwork. I guess we will flip for who gets the new and who gets the old! My daughter is a senior in High School and will be leaving for college this fall. I am a single mom and do not have the funds to get her a laptop that I’m sure she will need. Thank you for the possibility… How wonderful this would be for her!! Would love to have the Lenovo Ultrabook! I have never had one and it would be nice to have because my husband and I have to take turns using the one computer we have! I need a new laptop for my son-n-law. He is waiting to start school online untill he can afford a new laptop. His is 8 years old and can not be upgraded to support the platforms he needs for school. I only have a Net book. It would be really great to have a real machine to use. Would LOVE to have new Lenovo Ultrabook- thanks! Have you ever seen a laptop skitter across an airport. Mine fell out of my bag, landed on a corner and the pieces went across the airport. Now I could use a new Lenovo. My laptop is so heavy it hurts my shoulder when I carry it. I’d love to have a new lightweight one. I would love to win this laptop because there are 4 of us in my family and our desktop is gone and the one laptop we have is old old old and it runs so dang hot you cant leave it on for very long.